The World Wars that ravaged through European land have now become a place of remembrance, of history and the hope of peace all over the globe. The battlefields, the vast cemeteries and museums are all integral in understanding their lasting impact. At Rifleman Tours, we provide battlefield tours to suit all parties and requirements. Our service gives you a chance to make the most out of your trip and learn more about the battlefields and their context to our lives now. With private and group tours, we can cater for any demands. 2017 marks the 100th anniversary of some of the worst conflicts in the history of the world, and we have complied some interesting tours to commemorate these. From our Armistice Day tour to Ypres and Passchendaele to the Vimy Ridge and Arras anniversary tour, we have a wide range of tours to pique your interest. With the film ‘Dunkirk’ by Christopher Nolan being released this year, you can experience the scene of much horror on the beaches with our planned tours. All our trips have a detailed itinerary, giving you the chance to look at the hotel you’re staying at and what time you need to leave. 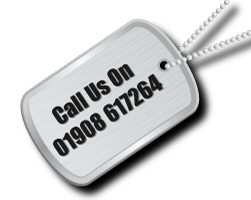 To find out more about our service, get in touch with our team by filling out our online contact form.